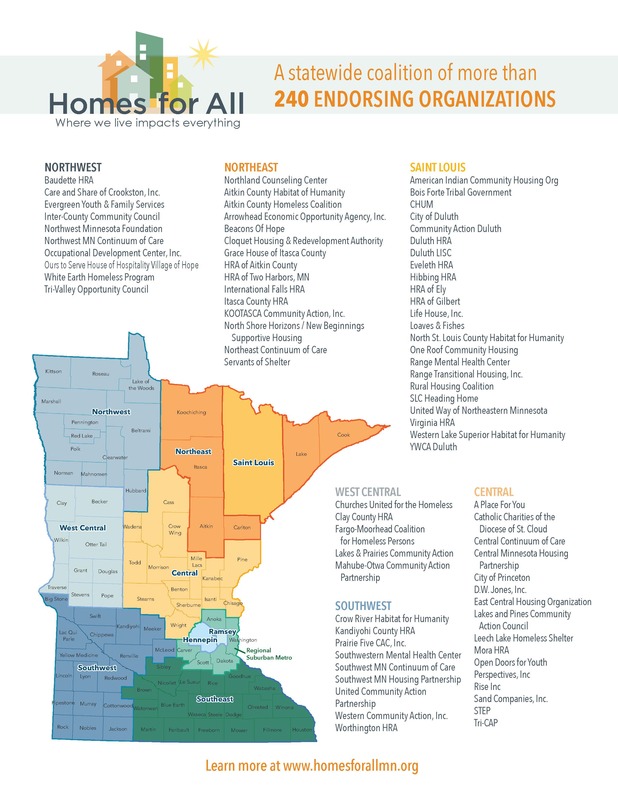 Thank you to the 243 endorsing organizations of the 2019-2020 Homes for All agenda. Become an endorsing organization for 2019/2020 today! Care and Share of Crookston, Inc.
Central Minnesota Housing Partnership, Inc.
Face to Face Health and Counseling Service, Inc. Lakes and Pines Community Action Council, Inc.